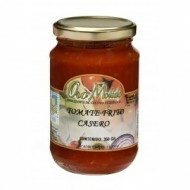 Buy Organic homemade tomato sauce, Oro Molido, glass jar 12oz. Fried ecologic tomatoes just right salt and acidity. Organic production obtained respecting the environment. Ecological Spanish Product. 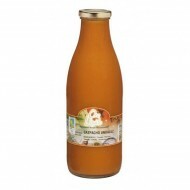 Buy Organic Gazpacho Andaluz, Oro Molido 35fl oz. glass bottle. Ecological Gazpacho just right salt and acidity. Organic production obtained respecting the environment. Ecological Spanish Product. With a touch especially Mediterranean. Buy Pico Organic Virgin Olive Oil, Oro Molido, bag 5.3oz. Buy organic bread at Picos. Crispy organically produced picos, typical of southern Spain. Ecological spanish product. 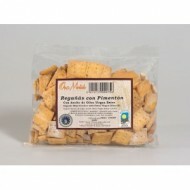 Buy Regañá with Organic Virgin Olive Oil and Cayenne , Oro Molido, bag 5.3oz. Buy organic bread at Regañá. Crispy organically produced Regañá, typical of southern Spain. Ecological spanish product. Buy Regañá with Organic Virgin Olive Oil, Oro Molido, bag 5.3oz. Buy organic bread at Regañá. 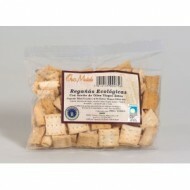 Crispy organically produced Regañá, typical of southern Spain. Ecological spanish product. 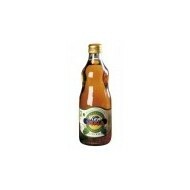 Buy Organic Apple Cider Vinegar, Riojavina, 17.60 fl oz glass bottle. Special stoppered vinegar. This organic apple cider vinegar is made from apples treated without chemicals, pesticides or fertilizers. 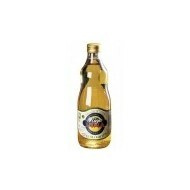 Buy Organic white wine Vinegar, Riojavina, 17.60 fl oz glass bottle. Special stoppered vinegar. This organic white wine vinegar is made from grapes treated without chemicals, pesticides or fertilizers.Ecological spanish product. 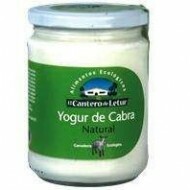 Buy Organic Goat Yogurt - The Letur Cantero – 15oz. glass jar. Ecological natural milk from goat. 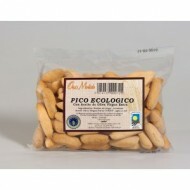 Organic and ecological products with high quality and flavor. Delicious Spanish gourmet items. 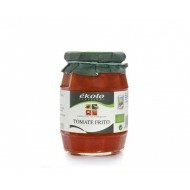 Buy Homemade Spicy Fried Organic Tomato, Ékolo, 12 oz. glass jar. Fried ecological tomato just right salt and acidity, but with a touch of spice. Tomato obtained handcrafted and organic production, whilst respecting the environment. Gourmet spanish product. Buy Ecological delicious Carob, biodarma, 4oz. Delicious carob cookies very sweet and digestive. Some people are taken as a substitute for chocolate and others simply for its exquisite taste. These cookies are 100% vegetable, contain no lactose, no egg, no artificial additives or preservatives and no hydrogenated fats. 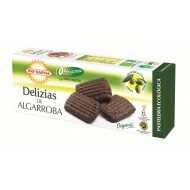 Buy Ecological cookies Delicias of Garlic and Parsley , biodarma, 4oz. Delicious cookies seasoned with garlic and parsley. 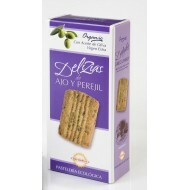 Ideal for the accompanying snacks and meals.These cookies are 100% vegetable, contain no lactose, no egg, no artificial additives or preservatives and no hydrogenated fats.Ecological spanish product. Buy Ecological Tomato and Oregano Delicias, biodarma,4oz. Delicious cookies flavored with tomato and a bit of Oregano. Ideal for the accompanying snacks and meals. These cookies are 100% vegetable, contain no lactose, no egg, no artificial additives or preservatives and no hydrogenated fats. 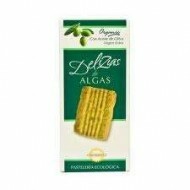 Buy Ecological Algae Delicias, biodarma, 4oz. Delicious cookies made with whole wheat flour and oats a little algae, among other ingredients. Ideal for the accompanying snacks and meals. These cookies are 100% vegetable, contain no lactose, no egg, no artificial additives or preservatives and no hydrogenated fats..
Buy Ecological Anchovies Delicias, biodarma, 4oz. 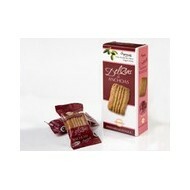 Delicious cookies flavored anchovies. Ideal for the accompanying snacks and meals. These cookies are 100% vegetable, contain no lactose, no egg, no artificial additives or preservatives and no hydrogenated fats. 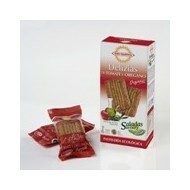 Ecological spanish cookies. Buy Ecological Oatmeal and Almond Delicias, biodarma, 4oz. Delicious Almond and Oatmeal cookies are high in vitamins and proteins. These cookies are a great complement to a healthy diet. The cookies are 100% vegetable, contain no lactose, no egg, no artificial additives or preservatives and no hydrogenated fats. 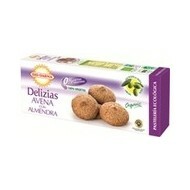 Ecological spanish cookies.